Gators and lobsters and buffalos, oh my! 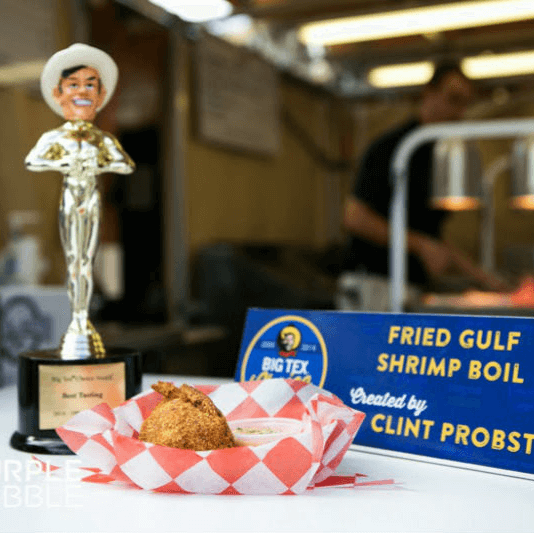 State Fair of Texas concessionaires have outdone themselves yet again with a slew of concoctions that are as creative as they are delicious. 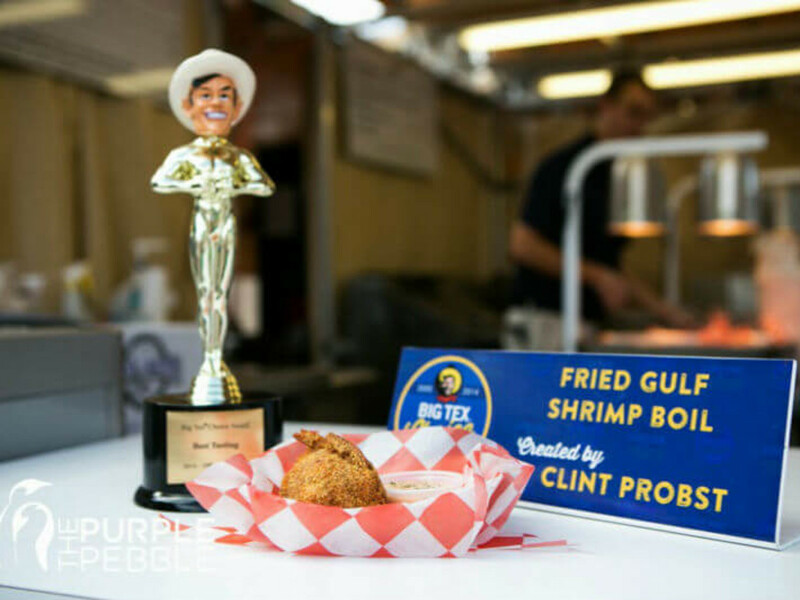 The Big Tex Choice Awards is the fair's annual food contest wherein vendors compete against each other by creating unique, over-the-top snacks. There were 51 entries in the first round, and that has been narrowed down to eight finalists. A panel of judges including Dallas Mavericks' Devin Harris, Big Game Sunday co-host Drew Pearson, TV show Let’s Go! 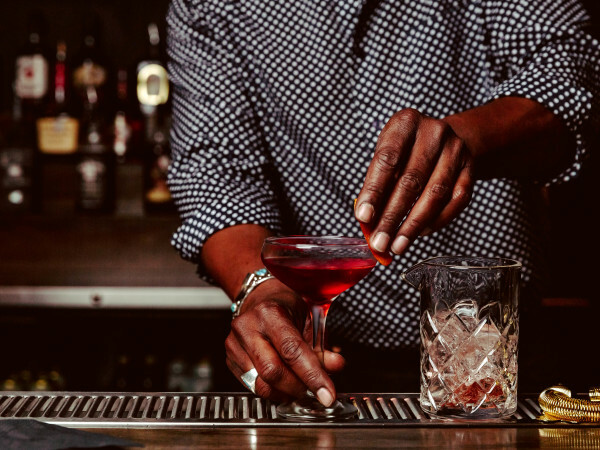 DFW host Dan Rodo, chef John Tesar, and Dallas city council member Tiffinni Young, will pick the winners on August 30, along with one non-celebrity judge chosen via random drawing. 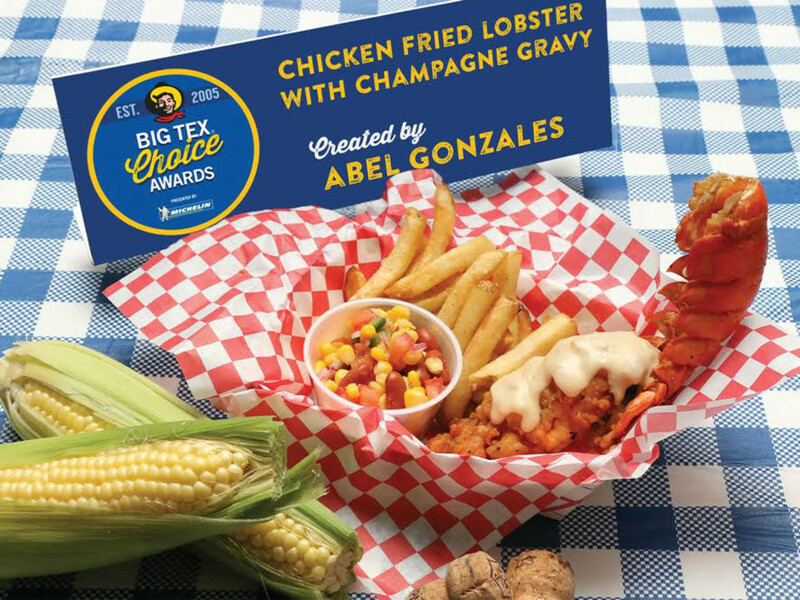 For the first time in Big Tex Choice Awards history, lobster has made its way on the menu. This seafood spread consists of an entire lobster tail, breaded and deep fried to perfection. Served with a sauce combining lemon butter and champagne gravy, the Chicken Fried Lobster is not your typical carnival concoction. With the lavishness of a lobster dinner and the fried factor of a traditional fair food, this dish will satisfy both a fondness for fanciness and a craving for the classics. This creation captures the quintessential taste of Texas in one bite. Sweet corn, minced jalapeño, cream cheese and a hint of smoky bacon, the Cowboy Corn Crunch is the perfect blend of savory and spice. This flavorful tot is fried to a golden brown and served in a unique palm leaf cone, proving especially convenient when walking while snacking around the fairgrounds. 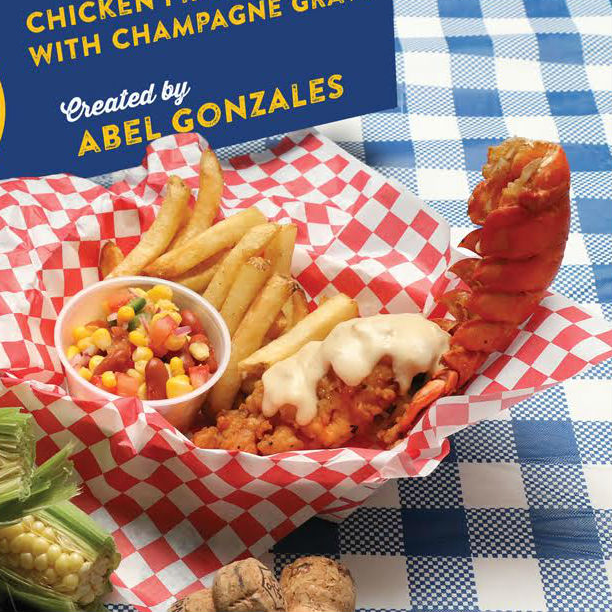 Alligator makes its Big Tex Choice Awards debut, giving fairgoers the Cajun experience. 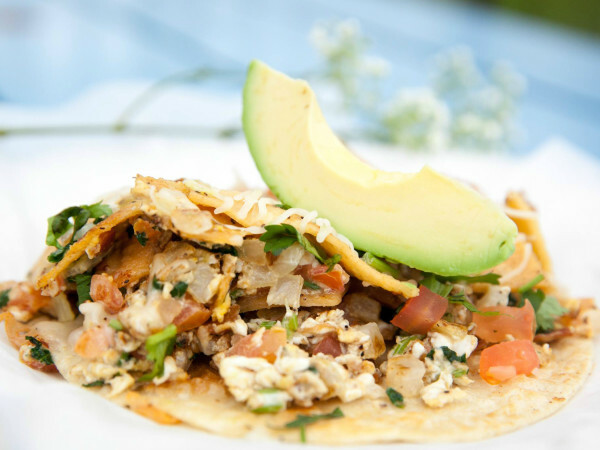 The Deep Fried Alligator’s Egg Nest blends alligator meat with Monterey Jack cheese, chopped jalapeños, onions and garlic. This mixture is rolled in bread crumbs and fried to a golden brown. Served atop a nest of shoestring potatoes and drizzled with a chipotle sauce, this dish will make you feel like a real ragin’ Cajun. Unique spin on a traditional dessert turns carrot cake into a heaven-filled roll. Golden-baked bread swirled with cinnamon has been flattened and filled with moist carrot cake, raisins and julienned carrots. It's rolled with a light coating of cream cheese then breaded in a mixture of panko, graham crackers, cinnamon and nutmeg. Drizzled with cream cheese frosting and dusted with powdered sugar, this is served with caramel and a caramel macchiato cream sauce. Buffalo meat is another first on the Big Tex Choice Awards’ list this year. Lean ground buffalo is flavored with Mesquite smoke and rolled in Pequin chili pepper, Texas' official native pepper. The meat is crusted in crushed Corn Nuts and dipped in a batter made from Shiner Bock beer. It's lightly dusted with bacon bits and served with a chipotle cream sauce. 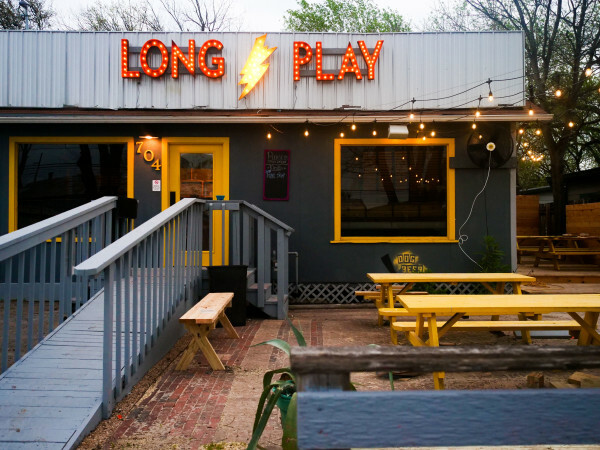 Bone-in pork chop is marinated, then dipped in batter made with Lone Star Beer. The seasoned pork chop is smothered in toasted bread crumbs and deep fried until brown, then finished off with a coat of bourbon barbeque glaze. As defined in its name, the bone serves as a handle, making this item convenient and easy to carry. Shredded chicken is combined with cream cheese, Monterey Jack cheese, bacon, cilantro and Sriracha sauce, rolled into a ball and crusted with a crispy pretzel breading, then deep fried. Served with a jalapeño ranch dipping sauce, this dish is crunchy on the outside while keeping its center perfectly soft and gooey. The Smoky Bacon Margarita takes the smokiness of bacon and infuses it into the citrus flavor of a frozen lime margarita. Finished off with bacon crumbles on top, this thirst-quenching drink is served in a collectible souvenir cup. It contains alcohol, so patrons must be 21 years of age to enjoy.